You are at:Home»Articles»What Has Brought The World To This? Look at the people in the images above except the one at the bottom of the African woman and her child. This is the race among mankind that many in the world – in general – follow and take their lead from. See the direction in which they have led (misled) many? 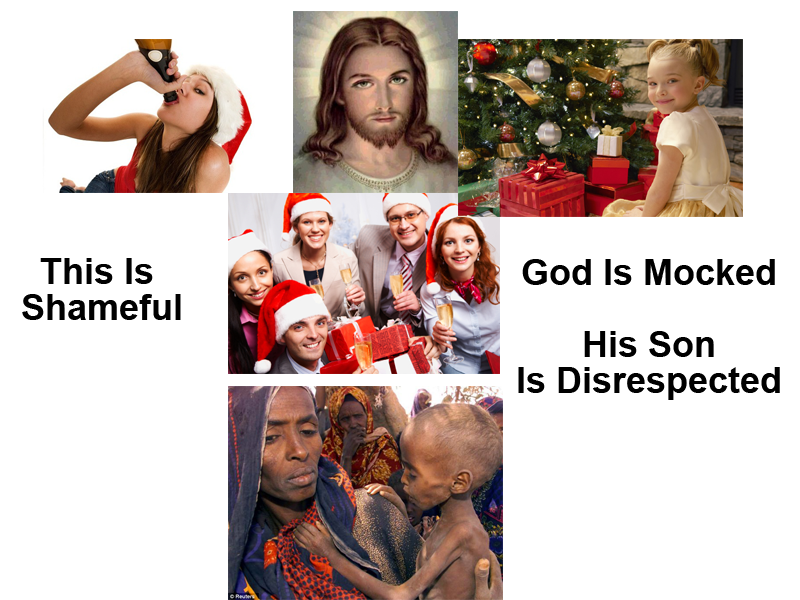 The imposition of their branded religion called by them – Christianity – upon people of color is responsible for what the picture at the bottom represents. How can one engage in merry-making and celebrations of “Christ’s so-called Birthday” while at the same time look the other way? It is selfish! What or who has created this mentality in so many? Who or what has created this type of fruitage in people? The bottom line here is that what is called by men – Christianity – is hypocritical and does not reflect the example Jesus set concerning the poor, the powerless, and disadvantaged. Back then I was thoroughly indoctrinated and “Europeanized” and accepted the images of Jesus as a White man as shown in the image above. 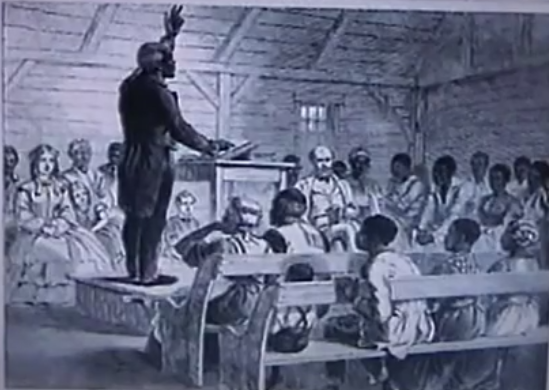 If this religious system can get people of color to accept everything related to God as being white, then it has fulfilled its goal of making people of color fearful of the man of European descent; fulfilled its goal of stripping away the natural identity of the African man and imposing a European-based identity; fulfilled its goal of getting people of color to adopt traditions and celebrations that have nothing to do with them; and fulfilled its goal in getting the “indoctrinated” to defend a religious system, traditions, and celebrations that have no historical or ancestral ties to them. The idea is to strip away one’s identity and impose upon them another. 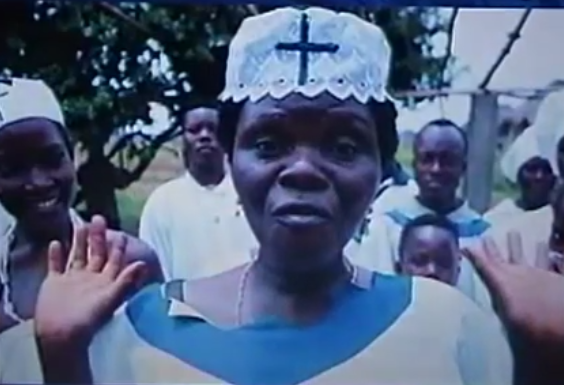 This Missionary Woman Thinks She Is Doing God’s Work. 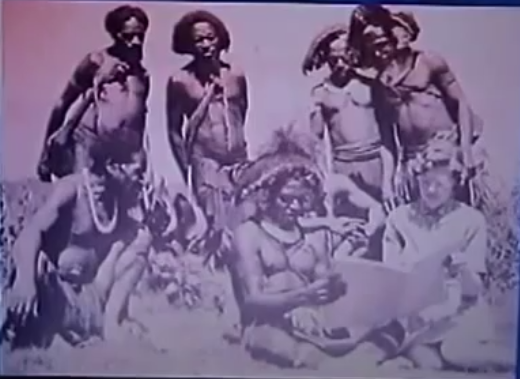 Do You View These African Men As Savages Because of What They Are Wearing? I Hope Not. It Is Hot and This is Natural For Them. Why Would A Person of European Descent View Them As Heathens? How Arrogant! Defends The Images of a White Adam & Eve, White Angels, White Jesus, etc. But That’s The GOAL is it NOT? This Is The Ultimate Goal. Compare This Photograph With The First One Above. Next Article Who Is A Liar? What is wrong with us, (ALL RACES) our Mothers conceived us in sin,we are all sinners and fall short of the glory of God, Because we inherited sin From Adam and Eve. I appreciate your response but it does not fit the subject matter of the article. The “us” in the title is “Black People. Many of us would rather defend the race and religion that enslaved out ancestors than listen to our own “reasonable” Black persons. Many of us have not come to realize that we worship White people and all that they have created and established on earth, and not God Himself. Whites all over the world – via Christianity – is converting Black people (persons who are African and of African descent) into persons who think, believe and who would defend their ancestry, celebrations, rituals, and religion. They seek to turn us into “controllable” good little “Christians” who will be no threat or challenge to them. The truth is in the images seen on the website article page. That is what the article is about, it is NOT about inherited sin. I am curious as to why you have not addressed the subject of the article or the pictures there as they speak for themselves and to the reality to what has been happening TO US. Many of us see this and then say, “Inherited sin?” How White people doing this? Not inherited sin. God and Christ are being mocked. White people have stolen everything good and decent about God and Christ and have completely repackaged them – in their likeness – and sold us a lie. What is wrong with US not to see that? I see White missionaries pouring into Africa to place Bibles in the hands of the African and to tell him that he is a heathen and needs to accept their White Jesus else they are goiing to burn in hellfire. The African had no concept of “heathen” until the White man came. I suppose Adam and Eve were “heathens” because they wore no clothes prior to their sin. 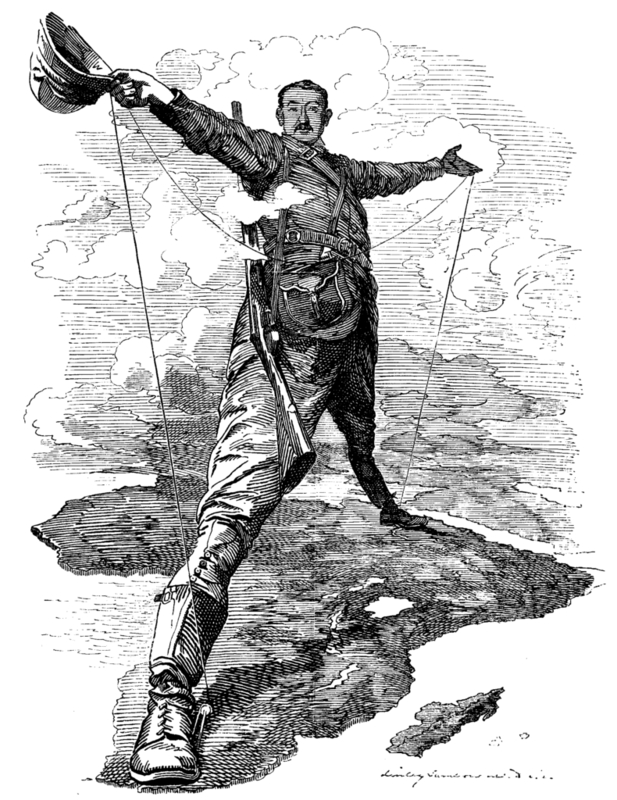 The African gets afraid and rejects his own ancestry and adopts a European-based belief system. He can now be controlled and be used to do the White missionaries bidding in selling the same lie to scare Africans into accepting a White Jesus. Now they are under control. The missionary has done what armies could not: subdue and control Black people. Yet, at the same time they are having someone elses religion and identity imposed upon them, their lands are raped of their natural resources by the White man and the people are left poor while the White man flourishes in a land not his own. What is wrong with US (Black people) not to see that the White man has used religion to get his way and to convert and then control a people. And we revere him and defend his religion that he imposed upon our ancestors and us today. It is because of the White race, the world believes God and Christ as somehow White. Yet, both God and Christ exist as invisible entities. So it is White people who seek to be revered and worshiped. I have witnessed Black people kissing the Pope’s ring and calling him holy father! A White man’s ring being kissed and being called Holy Father! What is wrong with us! See my article about the Panare Indian. was Jesus not a Jew ?? That depends on what and who YOU want to believe. I cannot believe or think for anyone. Neither can I allow others to conclude for me or dictate to me what I feel is the truth. It might not be THEIR truth. They have to conclude for themselves. If you don’t believe in what is written in this book called the Bible, then he whatever you believe him to be .. even never existing. It becomes a war over what person A believes against what person B believes. Which one is right? Maybe neither of them. What he was can only be determine by whether one believes that he existed or not. If one believes he exists today, then he is not a Jew because humans do not live in heaven. He is TODAY what he was before he was sent into the world: The Son of God, the Archangel (or Chief Angel). 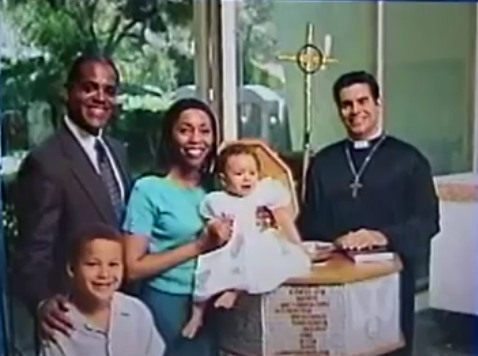 This is the utimate goal: the childen being baptised looks almost white ? Have you ever been in Africa ? I am an African American who lives in West Africa. I am an African American who work and live in West Africa (non-Military). I have been to just about every country in Africa and function on a dignitary level here. I would not say the ultimate goal children being “baptized” to “look” almost white, but THE AFRICAN PEOPLE – Adults and Children – to be “INDOCTRINATED” and “EUROPEANIZED” and “AMERICANIZED” to “think” and “believe” as White people do and to accept their portrayals of God and Christ and their brand of teaching about them. Baptism is nothing but a ritual. It is much bigger than that. Indoctrination is mental. It is a stripping away of one’s true identity and ancestry and replacing it with a European-based one. By this heavy outpouring of lies, White people can control us. By making us think and believe as they do, they eliminate the threat to exposure of their lies and deception. I represent a threat to “Christianity.” White people even train and use our own so-called Black ministers to keep us ignorant and kindergarten-level about the TRUE INVISIBLE God and Christ. Most Black Africans who have adopted “Christianity” and will defend a White Jesus and will look at you like you are crazy if YOU don’t. African Americans are no threat to Christianity, it has already taken many of us captive as many within our race will defend a White Adam, Eve, Angels, Jesus, etc and do exactly as the White slave master (and the slave masters children) today has taught us. When Black people defend the White mans Bible – yes, he created it, gave it its name, told the world that it is holy, told the world that it is the word of God – then Black people are still enslaved. And, the Europeans spun their web of deception AFTER Christ ascended. I do all I can to expose Christianity as the foretold imposter that would “come on the basis of Christ” and at the same time direct persons to a spiritual place – right where they stand and sit – where the True God and His Messiah are. It is from that place, they will learn the truth because it will not come to them by any human means, it will come from the living God through his Christ directly to us. why do people call themselves African Americans ?? Then there must be French Americans, Australian Americans, German Americans and I should call myself a French African ?? yet I have never been to France but my ancesters are French. Those “people” you refer to as being called “African Americans” have had many names and titles bestowed upon them. Most of those names and titles are not of their choosing. I have been called by the “N-Word” thousands of times in my lifetime, but that is not a title I – or my race – gave ourselves. Someone else did. So when you ask, you should ask the European why THEY stripped a people of their identity and gave them names and titles that they chose for them. Jesus [the] Christ, for example, never gave the title of “Christian” to his disciples; someone else did. Jesus [the] Christ, for example, never gave HIMSELF the title of “God” someone else did. In fact, it was the man of European descent who did. When the expression “American” is used alone, it is usually implied to mean a “White” American. On television I see all the time when a crime is committed by a Black person, the news reporter almost always says that it was an “African American.” When a similar crime or some greater atrocity is committed – such as dropping weapons of mass destruction upon someone – it is “American.” Never, White Americans or French Americans, etc.